If you’re a drone photography and videography enthusiast, the Mavic Air is just the right product for you. This January, DJI unveiled its Mavic Air, amongst great anticipation of an affordable version of its flagship Mavic Pro. 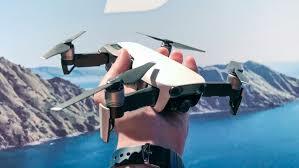 The “Air” in it is due to its lightness, compactness and smartness relative to its pro counterpart and DJI Spark. 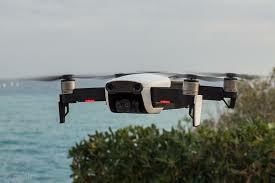 Similar to those models, it features a 12-megapixel camera and a host of modes for both shooting and flying. Though it is not made to cater to professional needs, it works wonders for photography and videography enthusiasts. 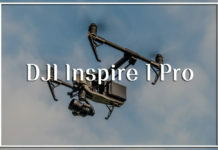 It comes equipped with what DJI claims to be an obstacle avoidance technology, which makes facilitates shooting in narrow spaces full of natural or artificial hurdles. 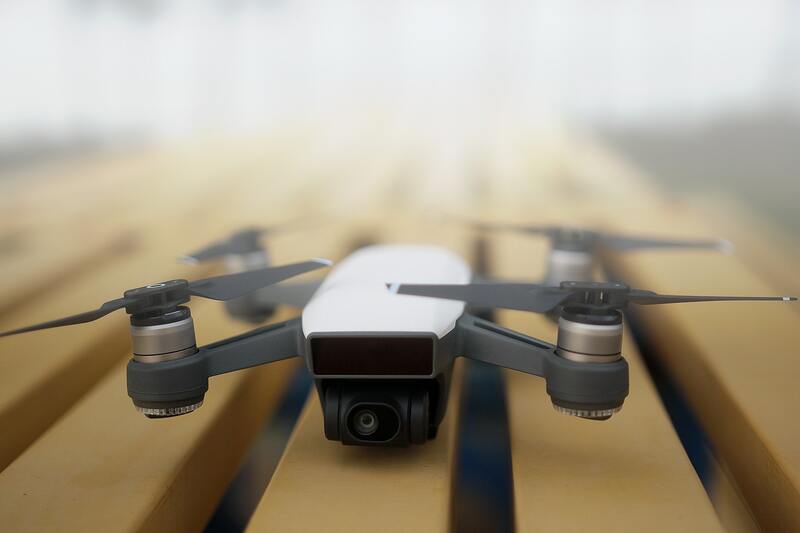 The build quality and features of the Mavic Air is phenomenal with its compact and foldable design. The controller is redesigned and has removable joysticks. 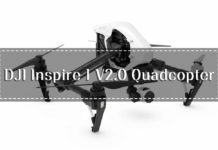 DJI has tried to incorporate the good sides of both the Spark and Pro model which has taken its design to a whole new level. The Mavik Air boasts of foldable arms which enhances its portability and makes it fit into any medium or small sized bag. Compared to the pro model, it can prove to be more portable owing to its smaller size. DJI has come up with this new technology and names it Advanced Pilot Assistance Systems (APAS), which helps the Mavic Air to automatically fly across narrow spaces and around obstacles like trees, bushes, etc. When it comes to video and picture quality, no one can beat the Mavic Air in its range as it comes with the same camera as the Mavic Pro. The 4K camera does a great job adjusting to a range of lighting conditions. The application for controlling the Air is great and has a host of features. However, when it comes to switching between the camera modes, it gives you some trouble, which is a disadvantage if you caught a moment and have to switch from one mode to another. 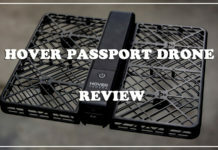 The Air has a slightly smaller battery than the pro, which hardly affects the backup but if it were to deliver a great flying experience, it would need multiple batteries, if not a bigger one. 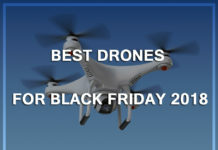 There’s a visual stereotype around drones. They look like big ugly and bulky bugs flying and making a lot of noise. On the contrary, the Air is amazingly sleek, stylish and quieter as compared to other drones in the same range. Moreover, DJI seems to have really worked on the design of not just the drone but the remote too. With the removable thumbsticks, it is easier to carry the remote in the bag that comes with the Air itself. The Mavic Air is quite well built in terms of sturdiness and features. The 3-axis gimbal comes incorporated in the body of the Air, unlike the Pro, which adds to the aesthetics of its body. 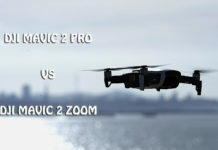 Talking about the camera, the picture quality may be exceptional according to drone standards, but it may not live up to your expectation as has the same lens that comes with the Pro or the Titanium. 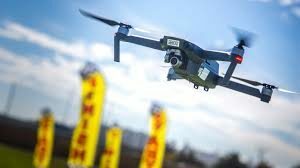 Perhaps, DJI has worked on improving the bitrate of the video footage it takes by elevating it to 100Mbps in contrast to the Pro which only offers up to 60 Mbps. One significant change that you’ll encounter while operating the Air after Pro is that it resorts to a WiFi signal rather than a radio frequency (RF). 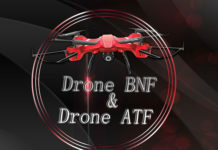 This affects the range and causes you to always be close to the drone and never let it fly off your limits or you may lose the video link (the footage remains intact). Moreover, the small size of the Air might work wonders for its portability but it might not be able to withstand strong winds. The Mavic Air comes with a zip-up case which makes it look smaller than what it really is. Overall, the package comes with all the manuals, crop guards, and the bag containing the Mavic Air itself. Inside the bag, you’ll see two batteries along with the hub, a set of two propeller boards, extra thumbsticks, a charger and the bag itself has extra pockets. The Mavic Air may strikingly resemble the Spark model but do not let that fool you. The Air’s foldable arms make it ultra-portable like the Pro but better. When completely folded, it can easily fit in one of the pockets of your regular bag or jacket. The recessed gimbal gives the Air some extra protection and same goes for the clip-on cover, though it may look a bit awkward. The controller has been re-engineered to support attachment of smartphone and feeds it with the footage over an app. Furthermore, the detachable thumbsticks add to the portability of the controller. The Mavic Air comes in three colour options – white, black and red. Compared to the Phantom 4 Pro, the CMOS sensor of the Air is smaller which directly affects the image quality. Nonetheless, the 4K video quality through the 12-Megapixel camera looks phenomenal with the rich colours and the 100Mbps bitrate. 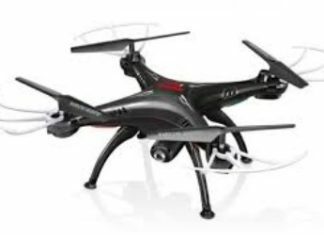 Combined with the flawless controls of the drone, the Air delivers a stable video footage and seamless photographs. However, when it comes to serving the professional videographers, the exposure levels are not satisfying. Droves are one of fascinating objects of the 21st century. Drones were seen as an unmanned flying object, remotely controlled aircrafts carrying state-of-the-art defence mechanism as well as missiles. Deployed in the military war areas such as Iran, Afghanistan as well as in the strong hold of ISIS, that is, Syria as well. Making a safer, less attacking and threatening drones were introduced to the world by DJI. DJI is an expert in making drones for fun purposes. DJI is a company having its speciality in making drones more fun than threatening. DJI is an American based company, specialising in building and selling drone which are more fun to watch a play with. 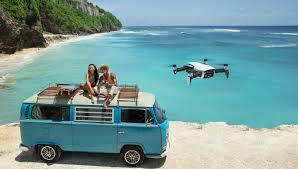 Drones made by DJI are more for capturing scenic beauties on the on-board camera. Making short films more memorable as well as unique, DJI Drones are there for the job. 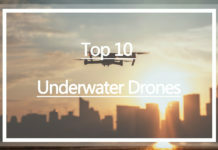 DJI uses state-of-the-art technology in their drones as well as making it more and more intelligent in the terms of its safety, agility and smart. 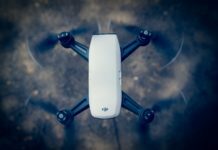 DJI makes its drones more unique, one-of its kind, DJI drones are custom-made for its customers. 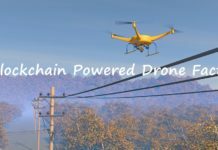 DJI gives a very unique experience in the field of drones. DJI’s latest creation of master piece, MAVIC AIR is unique in every sense of the drones built by DJI. 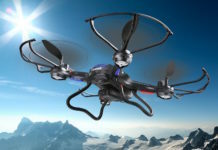 Their latest creation has made a major stern in the industry of domesticated drones. A cool drone for today’s generation of social media and internet attention seekers. Having a 32 MP Sphere Panoramas camera. Very easy handle, compact and portable. Having an excellent 3-axis Gimbal and also having the latest 4K camera. Also 3-Directional environment sensing. Now-a-Days gestures in the world of technologies are very important. The DJI MAVIC AIR comes packed with a feature of Smart Gesture. Having an excellent battery backup of a maximum of 21 minutes, gives a lot of time to capture the perfect moments and shots as well. DJI’s MAVIC AIR has got the first in class 3-axis Gimbal on which the excellent camera of 32 MP is fitted on. For better angle and a for a clear, crystal shoot. The photos are much more stable than usual. Having a 32 MP camera with Sphere Panorama lens helps in capturing g the scenic beauty of the place for the overall perspective. This camera changes the perspective of capturing the view, and expressing one’s views and lengths of dedicated photography. Also, the camera is modern as it gets. It has to offer a modern, 21st century solution of shooting videos. A complete 4K shooting of videos at 100 Mbps video. With giving the UHD support to the video which will be captured form the camera of the DJI MAVIC AIR. Slow-Motion video capture at the rate of 120 fps, to support and show off the magical moments. Also the HDR support comes as standard support for the moments captured in the camera of MAVIC AIR. A 12 MP Still Capture is also enabled on the to shoot high quality of photos and videos. Having an 8GB Internal Memory, is more than sufficient for capturing the moments of life, for each and every memory making it more memorable. Geometrically designed body for DJI MAVIC AIR, helps in smooth and swiping flow through the air. The unique body design helps in channelling the air flow through the aerodynamic body of MAVIC AIR. Having seven cameras in-all, with rear vents displacing heat efficiently. Also, having a all-new Magnesium alloy reinforcement. Also first-in-class, a completely compact and foldable remote controller, through which one can seamlessly control the DJI MAVIC AIR. 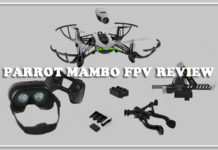 It is very user-friendly, and fun to fly. 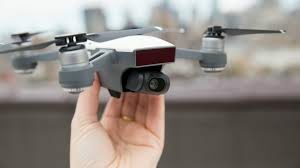 It is also able to track and capture Active Track actives, as well as, giving an exclusive options of capturing shots, Asteroid and Boomerang modes are introduced in the MAVIC AIR. Technologies such as smart Fly, Tap-To-Fly are included in this incredible drone. Flight safety such as Vision-Based Protection is put to use in this machine, to be used by the machine learning the obstacles in the way on the way of its flight. A State-of-the-art drone experience, with memories that can be relished for year, and an experience of a lifetime. DJI MAVIC AIR does this, and that’s the best that one can get. DJI Mavic Air has a transmission range of 4km or 2.5 miles. The range might be greater than Spark but fell short in comparison with Pro by 3 km. 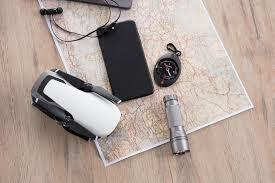 The Air has solely to rely upon Wi-Fi for connection with the controller without also using the Radio-Frequency (RF), thus having a small range. 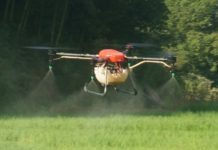 The drone does the job without a fuss, but if one is to extend the limit, there might be small connection feed, resulting in disturbances. The DJI Mavic Air has an impressive battery life and is one of the longest in the category of quadcopters. For added benefit, the rotor has been optimized for forwarding flight, remaining in motion than having to hover. It has been aerodynamically designed to remain a long time, equal to more than 21 minutes if the optimum speed for is provided for energy consumption. 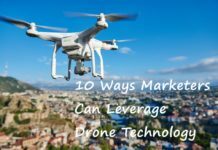 The drone is equally capable of doing short or long flights, averaging of about 22 minutes per flight which is impressive and can be increased to more if done at an optimum level. The battery is a massive capacity of 2375 mAh and recharges quickly, only taking an hour to recharge. 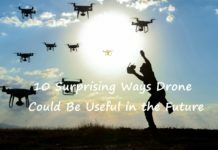 The drone will auto-land itself if the battery level reaches a minimum of 10%. For such instances, the battery takes about 55 minutes to get fully back on. Overall, the battery is not bad. It provides 25 minutes of flying time with recharge in 1 hour. The DJI Mavic Air has a sturdy and brilliant design and in respect of the controller, it has also done a fantastic job. It is the perfect combination of two worlds- different from the small, measly smartphone app using virtual joysticks nor a gigantic workstation. What’s more, the controller can be quickly folded into the size of a walkie-talkie. The controller can be accessed by flipping out the antennas and connect the smartphone. 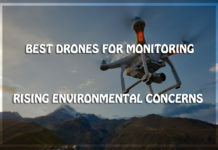 The controller has been designed keeping in mind the obligations faced by users of drone, intuitive design for easy research and fantastic design. The controller can easily be packed within a backpack or even a purse. Quickshot- Enabling to capture quick and expert coverage, letting even rookies capture classic footage, with Asteroid and Boomerang. Gesture Mode- This mode can be used to control the drone without even touching the controller, by gestures. 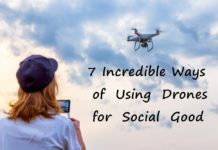 It is perfect for taking drone selfies with only making a picture frame and the drone does it. The DJI Mavic Air costs around $799 which is economic than the Mavic Pro. It has same features loaded in Pro in a sturdy design which can woo customers. Packing in 4K videos, guided paths and extreme versatility over range and control, novices can surely make their start with Air. It is a value for money product, and one should definitely give it a try. The guarantee of the product ranges from 6-12 months. 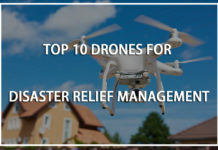 Advanced Pilot Assistance Systems- To minimize with drone accidents, DJI has Provided Air with the new Advanced Pilot Assistance Systems which detect obstacles in the path and can chart a course out without the controller’s input. Memory card at bay- Air has been provided with a memory card of the storage capacity of 8GB which can suffice if one has no memory card. 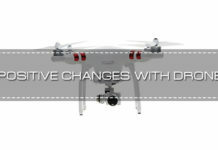 Recessed gimbal- DJI has given the Air a recessed gimbal, which has increased stability and increased handling. The drone is portable enough to be used by hikers, cyclists or others. 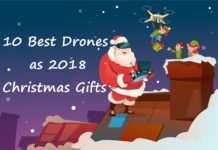 DJI has beaten itself by releasing the Air and gained the reputation of the best drone in its price range. 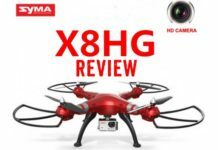 It is considerably cheaper than the Mavic Pro and is nowhere behind it in terms of features. 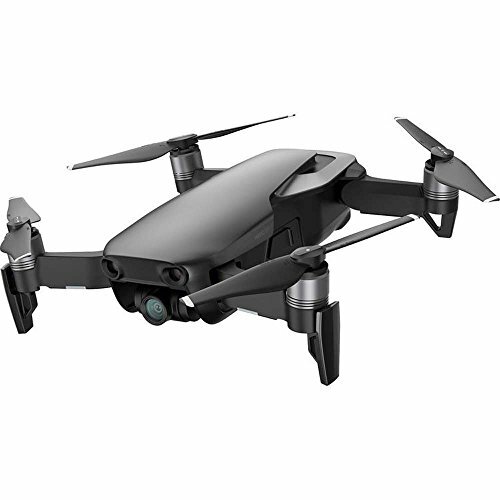 If you’re a drone photography and videography enthusiast, the Mavic Air is just the right product for you. Next articleDJI Phantom 5 Review: What New Features Will DJI Include?